Chippewa Valley Astronomical Society | Bringing knowledge of astronomy and enjoyment of the night sky to the Chippewa Valley. 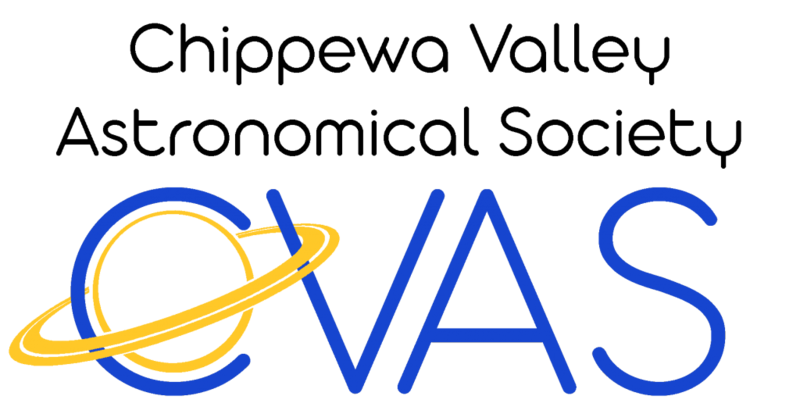 The Chippewa Valley Astronomical Society (CVAS) is an amateur astronomy organization in Wisconsin’s Chippewa Valley. The society members have a broad spectrum of astronomical interests from casual to serious visual observing, astro-photography, radio astronomy, and telescope building. The society holds monthly business meetings, club observing nights, and performs public outreach at Hobbs Observatory located at Beaver Creek Reserve, Phoenix Park in downtown Eau Claire, and other locations. The society hosts Northwoods Starfest, a regional star party held in August that is attended by amateur astronomers from Wisconsin, Minnesota, Iowa, Illinois and Michigan. CVAS is a 501(c)3 organization. All donations are tax deductible to the extent allowed by law. ROAD CONSTRUCTION NOTICE – Cty Hwy K is under construction between Cty Hwy Q north of Beaver Creek Reserve (BC) to Cty Hwy SS south of BCR and the bridge over the Eau Claire river on Cty Hwy K is closed. You can still get to BCR and Hobbs Observatory approaching from the north using Cty Hwy K. Click here for detour maps.